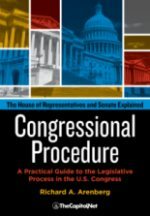 ALEXANDRIA, VA – (October 8, 2018) – Just in time for the November midterm elections, TheCapitol.Net is pleased to announce the publication of a major new reference work, Congressional Procedure: A Practical Guide to the Legislative Process in the U.S. Congress, by Richard A. Arenberg. 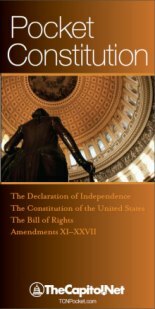 If the U.S. Constitution is the rule book, this is the playbook: an insider’s guide on how Congress operates and how the rules have changed. 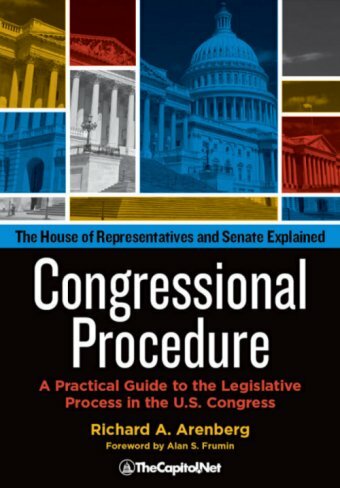 From the Great Compromise that created the U.S. Senate to the “nuclear option” that might end it, Congressional Procedure explains the rules of the U.S. House of Representatives and the U.S. Senate in straight-forward language highlighted with battles that have changed the course of a nation, including the Civil Rights Act, the War Powers Resolution, the 1974 Budget Impoundment Control Act and the Affordable Care Act. These major pieces of legislation required bending the rules of Congress to the breaking point. Congressional Procedure takes you inside the law factory to see how the sausage is made. 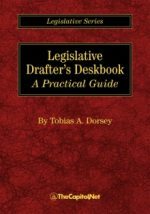 As you learn the clever ways legislators navigate the Constitution, you’ll meet unforgettable characters such as House Speaker Thomas Becket Reed, who said the job of the minority party is “to watch,” and the late John McCain, who extolled his fellow Senators to “return to the regular order.” From John Boehner losing control of House Republicans to Bob Packwood being dragged into the Senate by the Sergeant at Arms, Congressional Procedure highlights the crucial moments where leverage and creativity have made the impossible happen. No guide to Congress would be complete without an understanding of Congress’ oversight role, including impeachment. Professor Richard Arenberg introduces a rogues gallery of elected officials and judges who have been censured, impeached or expelled. He explains the differences between removing a President by impeachment versus the 25th Amendment. The U.S. Congress is an amazing institution designed by the Constitution and amended by generations of legislators and jurists. 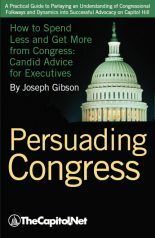 Congressional Procedure shows the dynamic struggle between the Executive branch and Congress over legislation, the budget, war powers and judicial nominations. In the coming years, these institutions may be tested in ways never imagined. Congressional Procedure reveals how those contests are likely to play out. 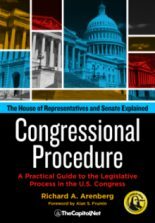 For more information about Congressional Procedure go to CongressionalProcedure.com or call TheCapitol.Net directly at 202-678-1600. 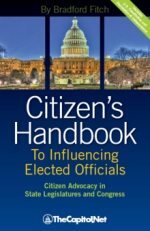 For more than 40 years, TheCapitol.Net and its predecessor, Congressional Quarterly Executive Conferences, have been teaching professionals from government, military, business, and NGOs about the dynamics and operations of the legislative and executive branches and how to work with them. TheCapitol.Net is a non-partisan small business.